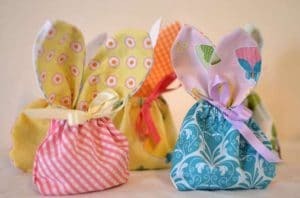 Have an Easter craft fair or a Craft show coming up and need some ideas for Easter crafts to sell? 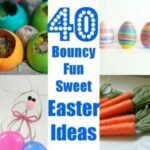 Or maybe you are looking for some Easter gifts to make for family and friends or a simply looking for Easter crafts for adults. 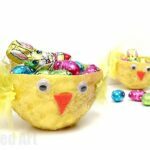 Though we have a ton of Easter Craft Inspiration for you to check out.. this post particularly focusses on easter crafts to sell at craft shows or to sell on etsy! 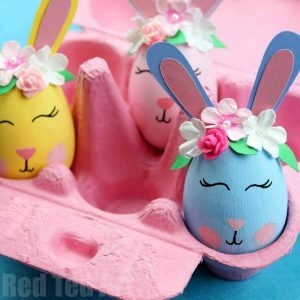 I have brought together our favourite DIY Easter Projects that are thrifty to make, don’t take too much time (though it does vary a little) and should be great for selling to an Easter craft fair audience. Enjoy! 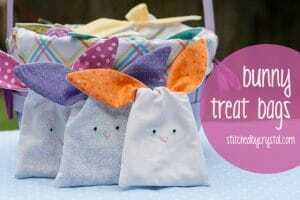 One of my favourite Easter crafts of all time, are these small Chick Pyramid Bags. They are perfect as “juggling chooks” or as Easter Decorations. They are super simple to sew and look fabulous. 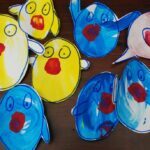 A great project for kids to make too! Flowers always make a good “Easter craft theme” – so full of the Spring feel they will look just the thing as part of any Easter Craft Stall. 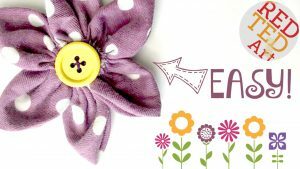 These fabric flowers are easy to make, great for using up fabric left overs and can be turned into brooches or hair slides. 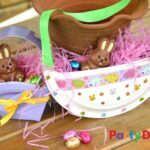 Another eco friendly Easter craft for adults to sell at a craft show are these fabric bowls – fill them with Easter goodies and they make a great Easter decoration for the Easter table. 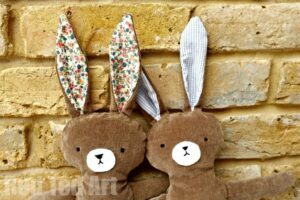 No one can resist a hand sewing bunny rabbit. 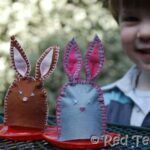 This is an easy free Bunny pattern that you can make and sell at a craft fair or use as an Easter gift this Easter. These Egg Candles always make me smile – you get that perfect egg shape that is so appealing.. and the best bit? They cost pennies to make! Especially if you are into recycling old church candles from Christmas! These Dino Soap eggs got my kids to finally wash their hands on a regular basis! How irristible is the baby dinosaur caught within? They are a great alternative Easter Basket filler. 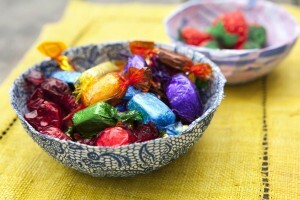 Wrap them in clear foil and they are a gorgeous Easter gift idea to sell at an Easter craft fair. Or how about some Easter Bath Bombs and Easter soaps? 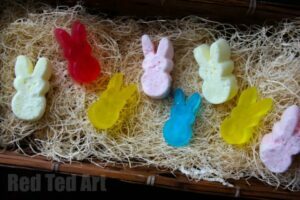 These Peeps Rabbit Bath Bombs are adorable! 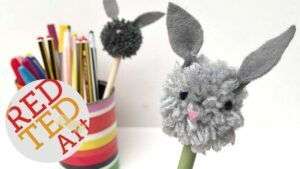 A simple project and maybe one to do with kids is to make these pom pom Bunny Pencil Toppers! 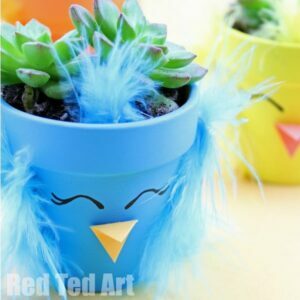 These Chick Planters are easy to make and look great for selling at an Easter Craft fair! There is also a Unicorn Planter version you may want to try out! 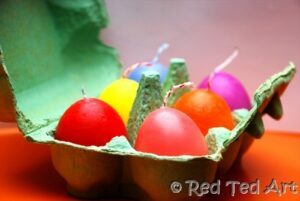 Easter Tree decorating is growing in popularity and with that are Egg Decorating ideas! We particularly love these Easter Bunnies and there is a great Unicorn Egg Decoration to check out too! 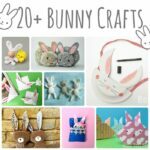 Easter crafts to sell at craft shows from other sites we love! 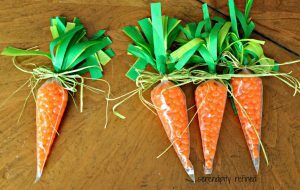 Serendipity Refined shows how fun and easy it is to make these carrot treat bags – these would great for selling at an Easter School Fair or similar! 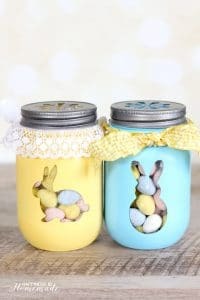 Learn how to make Easter Mason Jar streets from Happiness is Homemade! 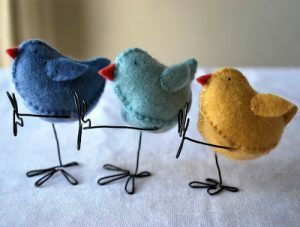 Adore these lovely felt chicks by Myrtle and Eunice – hop over and get your free pattern! 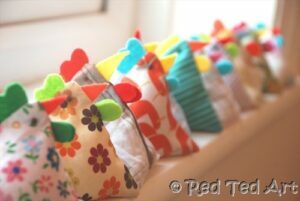 Or a different pattern by Sew Can She shows us how to use up fabric scraps! 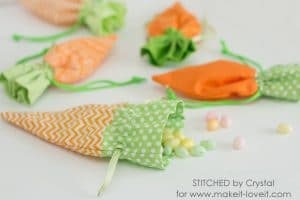 Or, I can’t resist one more along this DIY Sewing Pattern theme: Carrot Treat Bags by Make it Love it! 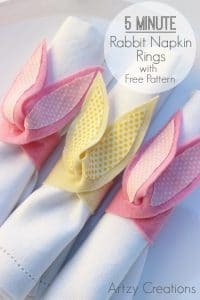 If you are making in bulk for selling at an Easter Craft Fair, then you will surely love these adorable 5 minute rabbit napkin rings from Artzy Creations. 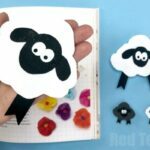 Adorable, quick and easy to make! 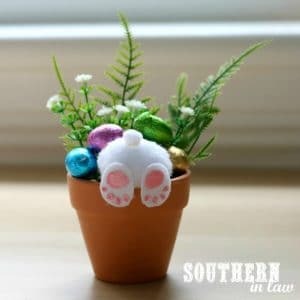 Southern in Law shows us how to make these gorgeous “Bunny in pots”… how fun are they? 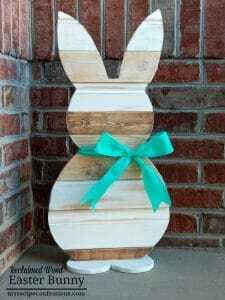 And finally how about some woodworking with this reclaimed wood Easter Bunny decor idea from My Recipe Confessions! 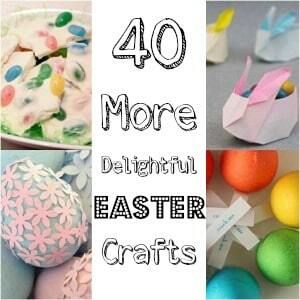 that you have simply found some Easter crafts to make as gifts or just because! Enjoy. 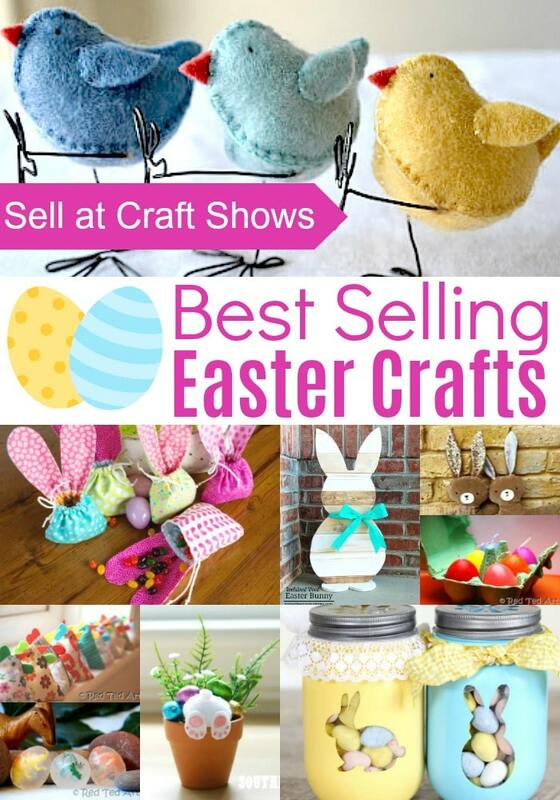 Good luck with any upcoming Easter Craft Shows and happy selling!